There are thousands of ways to plan a project. 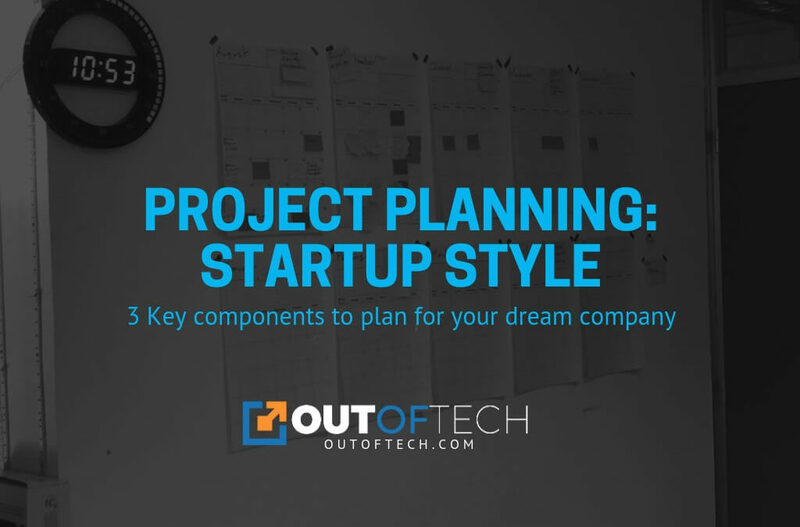 This article covers the basic process I suggest for planning a startup project. This may seem obvious to some, but you need to know that the deadline depends on what you want to do, and what you want for that deadline might change over time. There are a lot of founders that pretend to stick to their original budget and first schedule to the letter. That would be ideal, but the truth is that startup planning has to be more agile than that and you will learn a lot on the job. These techniques will help you plan for your startup journey, keeping you on-track and focused to achieve your dream company. Whenever I’m helping startup founders refine their idea, I always start from their souls, from the core of what they want to do, where they want to go, and what they ultimately want to contribute to the world. It may sound a bit abstract at first, but your values and ideals are exactly what will shape everything you do, and it’s your job to ground them to an operational level. So picture yourself in your vision or your final goal, and try to figure out what your routine will look like, the kind of people you will work with, etc. You should be describing a life you would really love. It won’t necessarily happen, but imagining it does help you define what you want, strive to get it, and give you the strength to say no when something doesn’t fit that vision. It is wonderful and useful to visualize what you want to achieve, but we can’t get stuck in daydreaming. The smart and realistic methodology to apply is breaking down these huge perplexing visions into small attainable goals. It’s hard enough to build your own startup, but it will be a thousand times harder, if not impossible, if you don’t set up and follow the necessary practical steps to get there. 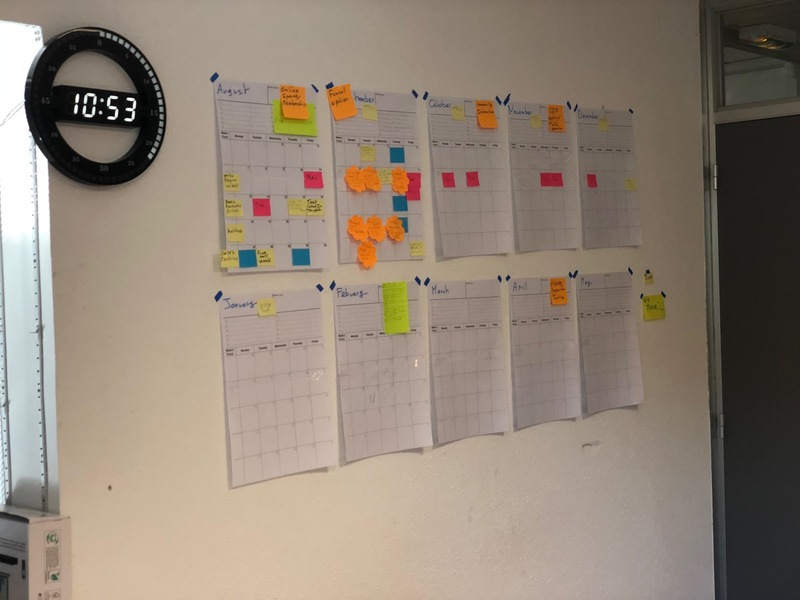 Goals are simply smaller bites towards that same vision, with discoverable paths for which you can plan.The first goal for startups should be the resulting product, that is, what you want to achieve and see after six months to a year. This is a big goal of course, so you should break it down into big steps, like four to six big achievements. And once you have those, you will also split them into smaller steps. You should then have clear short-term and midterm goals. In order to keep track of your process, each month and each week should be assigned a certain focus. These weekly and monthly focus points will be determined by key performance indicators (KPI). A good example would be: “I want to reach 10 subscribers per week.” These help you measure your progress in goals and keep yourself accountable. You can download the Weekly Goal Worksheet PDF here. Keep in mind that startups are played by ear. It’s always good to plan, but it should be realistic. If the goals and KPIs you are setting are too easy to reach every week, you should challenge yourself a bit more. If on the other hand you’re only reaching 50% of your goals, you need to lower your expectations. If you follow my posts on retrospectives, you’ll know that I aim very high, and even with high expectations, I strive to achieve 50% to 100% of my goals. You need to know if you are on track, and recognize if you aren’t. Review and reconsider the amount of things you want to achieve, or move your deadline and redefine your KPIs. According to the Lean Startup methodology, it’s best to do the former, to come off as reliable as possible. A good project manager needs to be transparent with where the project is at and where it’s going. Being too secretive or subtle about it will most likely get you into trouble—if not with the people awaiting your product, with your own organizational process. You know how in movies and series with a big mystery, there’s always a wall filled with newspaper clippings and string to figure out patterns? There’s a reason for that. Actual visibility is very important. It helps to see the “bigger picture” in a way no screen will be able to provide, regardless of how big your TV or monitor is. Don’t get me wrong, Google Calendar is great and all, but as a startup founder, there’s a lot to keep track of. Digital solutions just fall short in the way they communicate this information to the human brain. That’s why having your project’s monthly planning literally in front of you will be a great help. It gives you a clear perspective of where you want to go and how you intend to get there. So there you have it: visualization, fragmentation and visibility are the three key components for startup project planning. If you would like to dive deeper into this topic, check out the free course Startup Tech Challenges: From Zero to a Million Users and learn other tech management skills for early-stage startups with AskMyCTO video series. If you’d like to work with me directly, feel free to book your first free call with me.